Premium beam pattern. 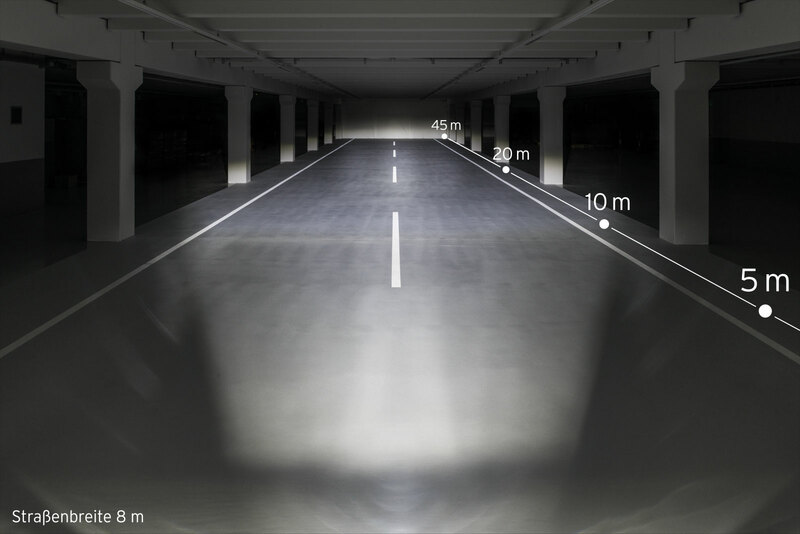 In High Power mode the high output LED shines extremely bright (80 Lux) out of the IQ reﬂector for up to 5 hours. In low power mode, 15 Lux is achieved – for 20 hours.